Orange plastic holder with special grippers that hold 4.625 in x 10 in 3M Doodlebug Cleaning Pads (sold separately). Holder swivels in all directions. The threaded socket attaches to any standard threaded U.S. broom handle. Four kits per case. 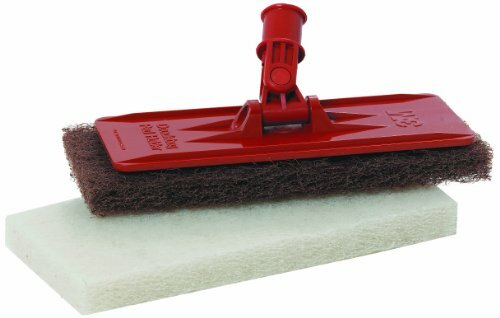 Each kit includes one 3M Doodlebug White Cleaning Pad 8440 and one 3M Doodlebug Brown Scrub `n Strip Pad 8541.